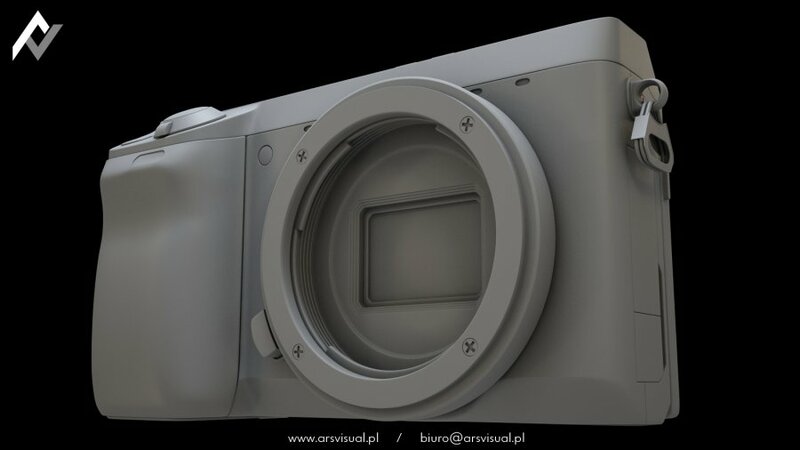 The project was made for the purpose of advertisement spot showing the camera Sony NEX-7. 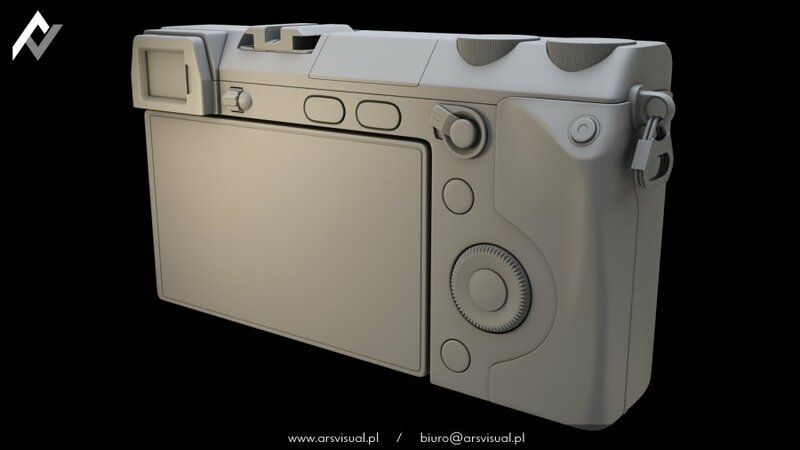 The 3D model of the camera has been built from scratches with great care and high quality of textures that allowed to overwiew specifications of the Sony camera in close-ups computer generated shots. 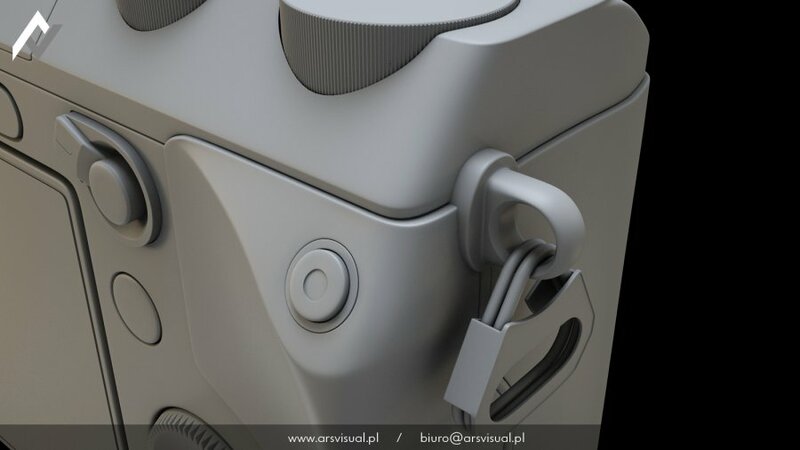 We aimed to use three techniques to present a 3D model: moving parts, slow motion and animation DOF. The dark color of the camera body and a dark background of studio allowed the extraction of spectacular reflections in further post-production work. 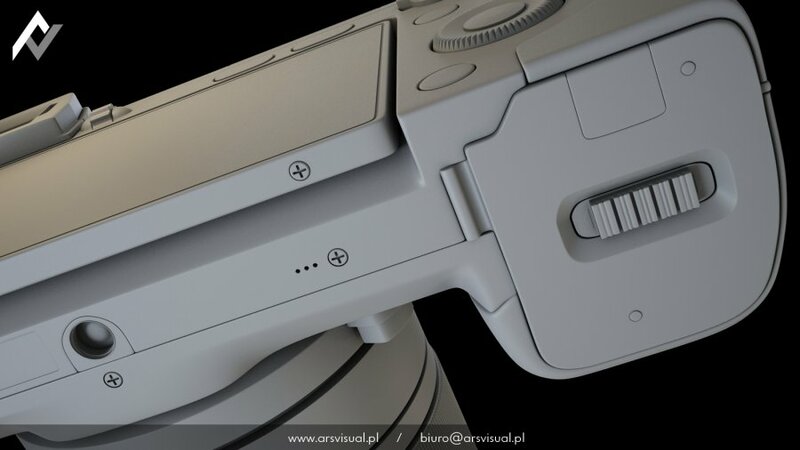 Overall effect was fulfilled by creating sound design, together with the sound mimicking the work of the camera shutter in action, made by Jarosław Łakoma. 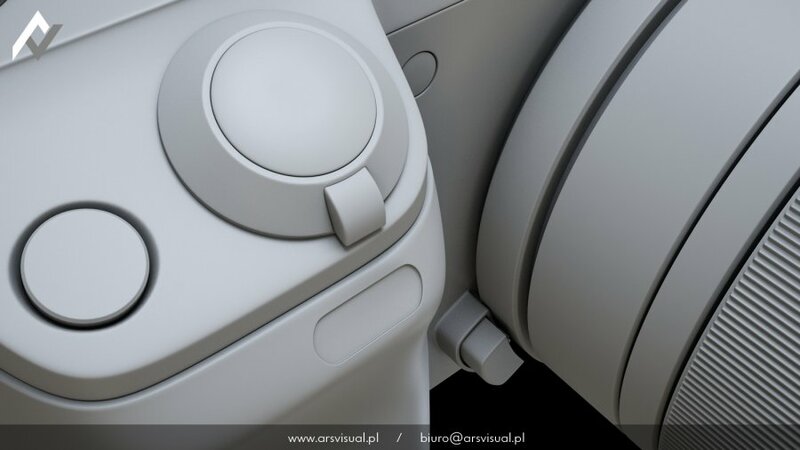 For the purpose of animation we have created very detailed and accurate 3D model. Also texturing had to accurately correspond to the real camera shape, color, texture and actual markings. 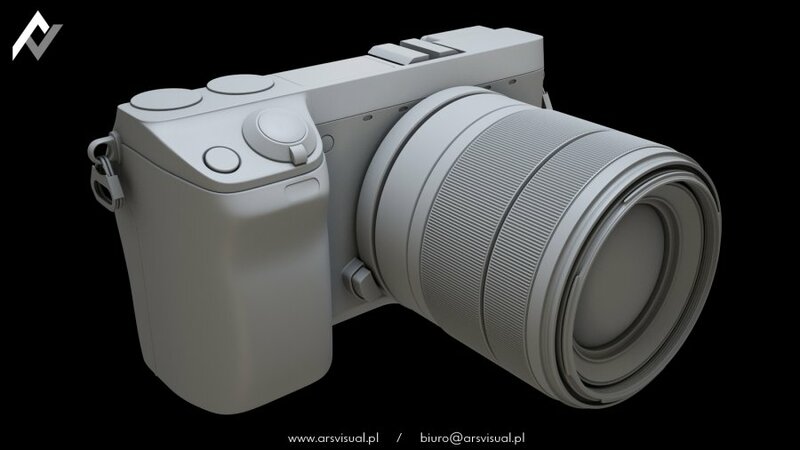 Specifications of Sony NEX-7 are impressive. Inside light magnesium body there is Exmor APS HD CMOS matrix with effective 24.3 megapixel resolution – definitely one of the highest resolution among digital DSLR cameras. In conjunction with the latest version of Sony BIONZ image processor, the sensor can work with ISO settings 100 – 16 000, continuous shooting at up to 10 frames / sec (speed priority mode) and Full HD movie recording with manual exposure control. Other strengths of the NEX-7 are interchangeable lens and a 3-inch tilt-angle Xtra Fine LCD screen with a resolution of 921k dots. An important feature is the built-in electronic viewfinder XGA OLED Tru-Finder ™ with a resolution of up to 2 359 296 dots – the same as in the Sony A77.